This picture was made approximately in 1985 photographed in the direction of northeast towards southwest. I was standing araised on a vantage point from which the West Berliner could look over to the East. Behind me the so called "death strip" made a bend and the Bernauer road ended there. Therefore you can see turning circle at the bottom of the picture. 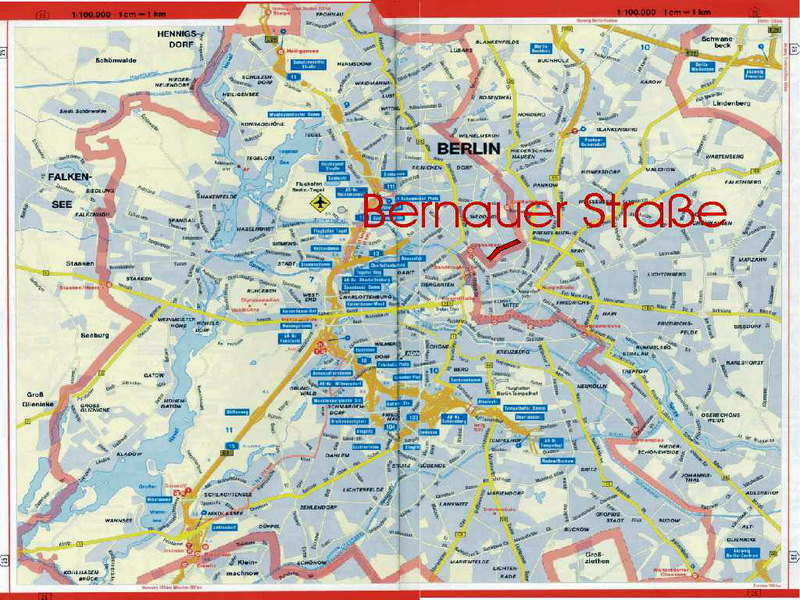 On the right hand you see the Bernauer road and left the death strip and the first houses of East Berlin. Slanting before the watch tower two GrePos ( border guards ) are observing me with binoculars. 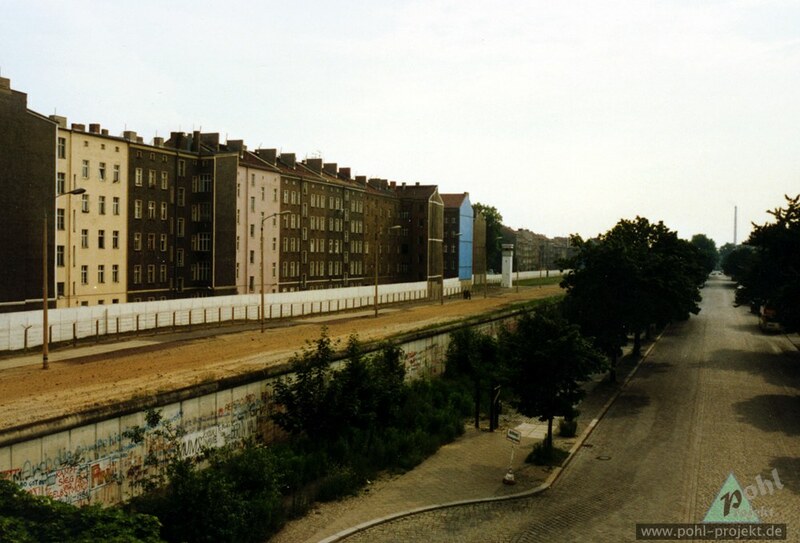 The houses in East Berlin are actually backyard buildings. The GDR, however, had needed room for the erection of the border installations and had pulled down the front-facing houses extending to the Bernauer road.